For events related to the 150th anniversary of Little Women, visit www.littlewomen150.org. Join “Common Ground” for our first pilgrimage in which we will treat writing as a sacred practice. We will spend these days asking ourselves one key question; what role do we want writing play in our lives? We will ask this question of ourselves, of each other and of Louisa May Alcott’s classic work of genius, Little Women. Each day will include time for writing, discussion, spiritual practices, walks and lectures. This trip will include a visit to Walden Pond and Louisa May Alcott’s former house, Orchard House, where she wrote Little Women. It will also include guest lecturers who will join us and share their expertise. In addition, each day, we will gather for writing workshops, spiritual writing practices, and discussions of craft. We hope you can join us. You can read more about it here: https://www.readingandwalkingwith.com/concord-ma-october-2018/ or email us at readingandwalkingwith@gmail.com. Director of Louisa May Alcott’s Orchard House and actress Jan Turnquist portrays Louisa, providing a living history of the famed author. 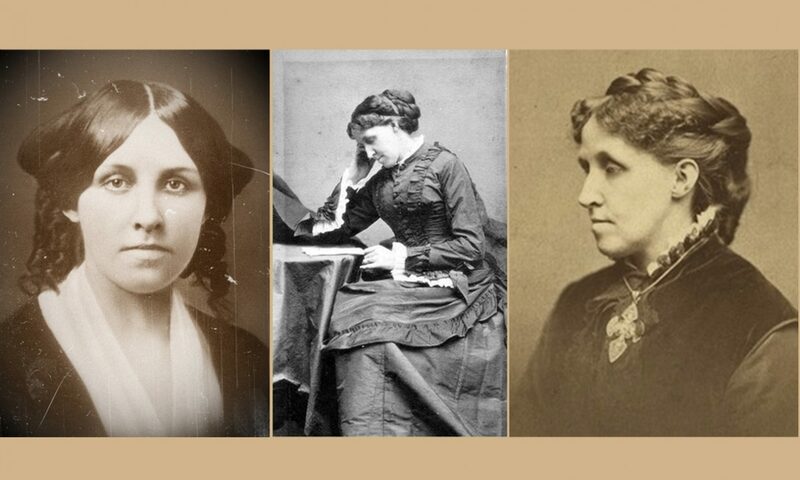 Call 978-369-9200 before the Sunday you wish to come and ask if Louisa May Alcott will be at the brunch. Call the same number for brunch reservations, which are recommended. Write to Marianne for details. Oh, thank you for letting me know about the event at the BPL. I will try to get there!